A deaf and partially blind dog can add hero to its list of tricks after it stayed overnight with a lost 3-year-old girl who wandered away from her home and into the Australian wilderness. 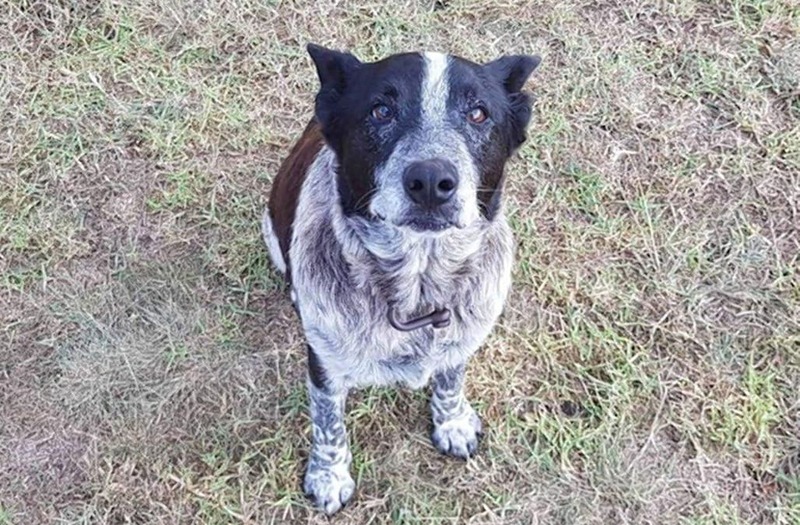 Max, a 17-year-old breed of cattle dog known as a blue heeler, followed the child over a mile away from their New South Wales house on Friday night and stuck by her side as temperatures dipped into the 50s and rain poured down onto them, according to reports. The girl's grandmother and rescuers found the pair the following morning after a fruitless search of the rural area the day before, the Australian Broadcasting Corporation reported. The missing girl, Aurora, was heard calling out and was then discovered with protector at about 8 a.m. on Saturday. Kelly Benston, Aurora's grandmother's partner, said that after the child's voice was heard, rescuers and the grandma, Leisa Bennett, tried to follow the sound until they ran into Max, who then led everyone to her. "She (Bennett) found the dog first," Benston said. "Max led her to Aurora." "I shot up the mountain," said Bennet, "and when I got to the top, the dog came to me and led me straight to her." More than 100 volunteers and police officers were dispatched in the search. Max was declared an honorary police dog by local authorities for his gallant efforts. "With the weather last night it's quite lucky she is well because it was ... cold and raining," rescuer Ian Phipps told ABC. "She's a very hardy young lass to survive that without any ill effects and everyone, all the volunteers, are extremely happy."